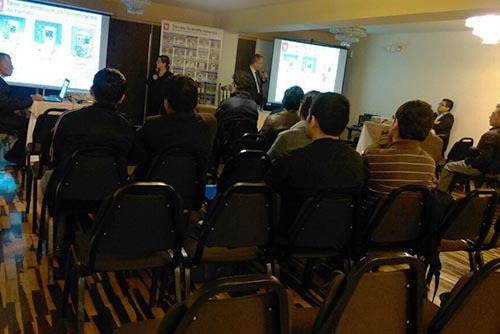 As part of its 25th anniversary celebration, one of YSA’s Latin America distributors, Omega Peru S.A., sponsored a forum on the Principles and Applications of Spray Drying. 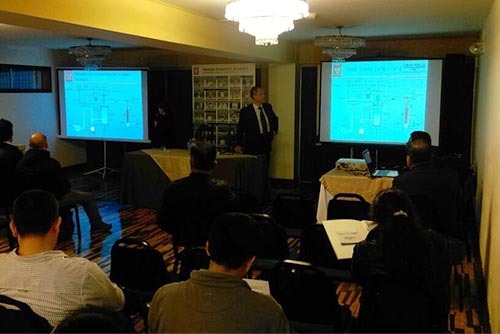 This event which took place at Hotel Carrera in Lince, Peru on June 14, 2017 was attended by 20 participants from universities, research institutes and food companies. 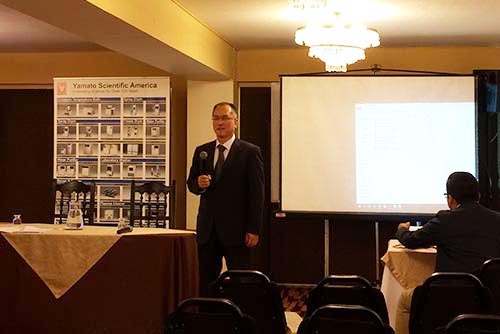 Mr. Yoichi Horie, a Yamato Executive from the Headquarters in Japan, was the special guest speaker. 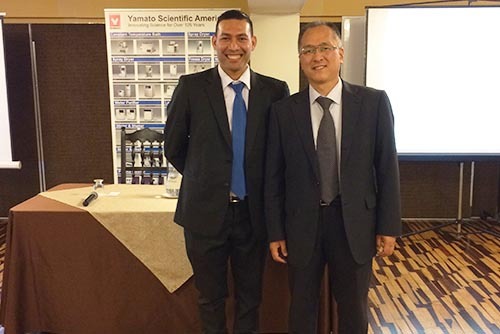 He brings with him a long career (over 25 years) in laboratory business with a wealth of knowledge and experience in spray drying and rotary evaporation. Together with Eng. 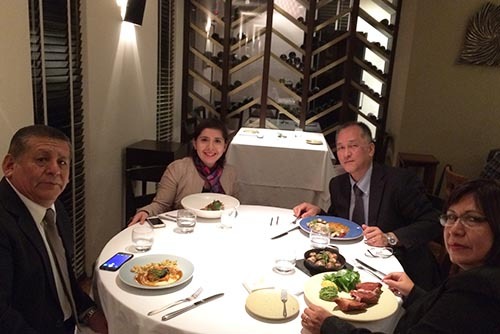 Fabiola Saldaña, Director of Omega Peru, Mr. Horie also got the opportunity to visit two universities, a fishery research institute and a food research institute. 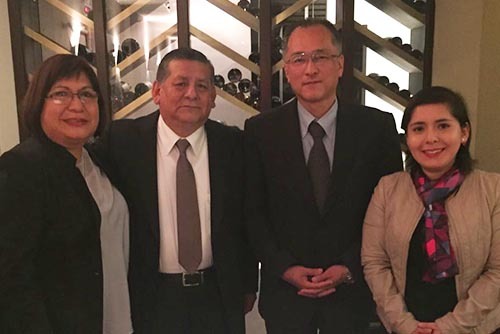 To cap off his first visit in Peru, he was treated to a sumptuous Peruvian dinner by General Manager Felix Saldaña who was joined by his wife, Mrs. Ana Espinoza, and daughter Fabiola. Congratulations on your 25th year Omega Peru! YSA looks forward to working closely with you for another 25 years and beyond.